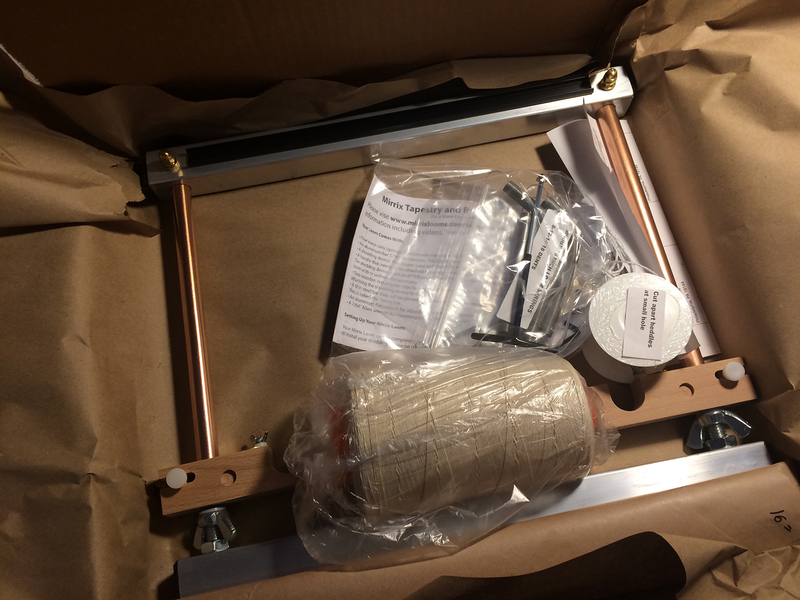 Thought I’d end up getting a Mirrix loom but not for a year or so – then when I joined ATA I saw that I’d get 10% off if I got one within three months – so I figured I needed to see how it went sooner but then I saw they were having a 20% off on the one I wanted…so my cheap little heart spent money to save money… and guess what came today!!! In the mean time I thought I’d review basics as I know more in my brain than in my fingers and while I’d like to experiment with my 6 epi loom at 12 epi, I was still waiting for 20/6 warp which has not been available for several months – so I warped up my 8 epi and experimented with different wefts etc. Been experimenting with Harrisville Highlands yarn and planning to place an order as I’m weak on spring colors – yellows, greens etc. About 30 min after the Mirrix came I got an email from The Woolery that my 20/6 warp has been shipped. 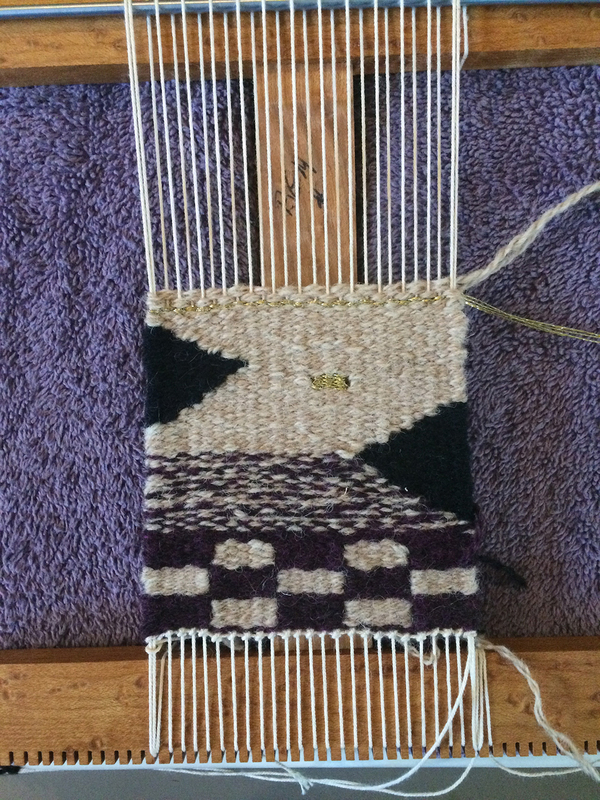 Opps – with this warp I want finer Weavers Bazaar yarn….. What’s a girl to do?? ?